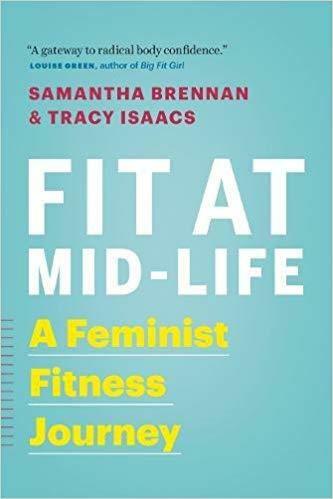 Words is pleased to present philosophers Tracy Isaacs & Samantha Brennan who will be talking about their new book, Fit at Mid-Life: A Feminist Fitness Journey. A uniquely feminist approach to how women can break free from what society thinks and get active in their forties, fifties, and beyond. On the eve of their forty-eighth birthdays, Samantha Brennan and Tracy Isaacs set out to achieve a daunting feat: to become the fittest they'd ever been in their lives by the age of fifty. To chart their progress, they created their blog Fit Is a Feminist Issue, dedicated entirely to the unique challenges, questions, and issues they would face as women seeking fitness after the age forty. Soon, they had a community of thousands following their story. Women, it was clear, were looking for something different: a new approach to fitness that would champion strength, health, and personal accomplishment over weight loss and aesthetics. In Fit at Mid-Life, Brennan and Isaacs provide exactly that, offering a more practical, realistic path to getting active later in life. Drawing from their personal experiences as well as the latest research, they deliver a wealth of concrete advice on everything from how to keep bones strong to what types of fitness activities give the biggest returns. But Fit at Mid-Life is more than just a fitness book. Taking a feminist perspective, the authors challenge society's default whats, whys, and hows of every aspect of getting fit, whether it's why women avoid free weights at the gym, how personal trainers talk to their female clients, or why dress size is so often considered a benchmark for fitness. Empowering and relatable, the book shows how women can best take charge of their health and be active—no matter what their shape, size, age, or ability.